Carol is the Incredible Years Dinosaur School Coordinator. Carol is very active within the community, involved in her church choir and as Junior Choir Director. She is an active volunteer in Community Theatre. Carol’s dramatic experience brings a special depth to the puppet characters of Dina, Wally, and Molly who are key players in the Dinosaur School program. 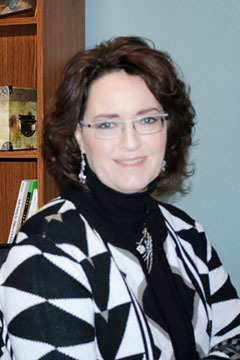 Carol performs dual roles at Southwest Iowa Families. 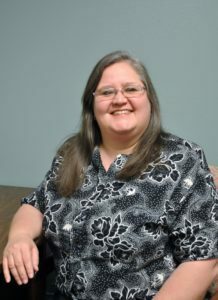 In spring 2011 she stepped into the position of Family Support Specialist with Positive Family. She brings a rich array of experience to the agency, together with her dedication to the children of the community. Jolene, our Secretary, is likely to be the first person encountered when a client contacts the agency. Jolene handles many behind the scene tasks, supports staff in all programs, answers telephone contacts, assists clients and participants with paperwork and problems. Brittany has lived in Southwest Iowa most of her life. She began working for the agency the Fall of 2016. 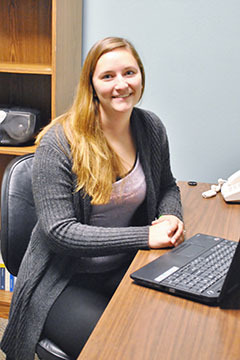 Brittany attended Northwest Missouri State University where she earned her Bachelor’s Degree in Elementary Education with a minor in Early Childhood. is a Family Support Specialist, going into the homes of young families to offer them support and education from prenatal to age 5. Brittany is also our Parenting Instructor. 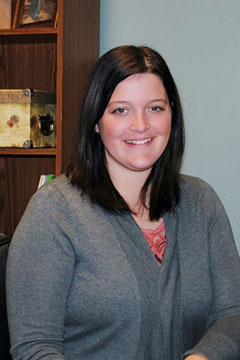 Brittany has a passion for working with children and their families. She is willing to assist in any way that she sees fit. Brittany enjoys spending time with her family, going for walks, watching football, and spending time with her two beagle fur babies. 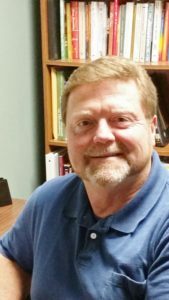 Sandy is knowledgeable about services and programs of the agency and will take preliminary information for services and as needed refer questions and problems to the appropriate staff for response. If she can’t answer your question, she’ll put you in touch with the person who can! 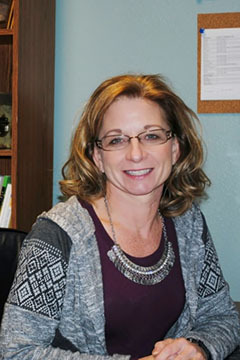 Sandy, as Administrative Director, handles financial duties for the agency, grant writing, human resources, strategic planning and oversees all programs and services. She is committed to the essential and life changing services the agency offers. Katie joined Southwest Iowa Families in 2017. Katie is a Therapist and serves clients of all ages. Katie believes the foundation of meaningful therapy is a genuine relationship between the client and therapist, and strives to provide a comfortable and supportive environment. 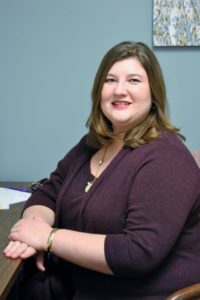 When working with families Katie has a passion for helping caregivers better understand the emotional and developmental needs of their children and for increasing family communication. Katie works from a strengths based perspective, and believes all clients already possess skills that can help them thrive. 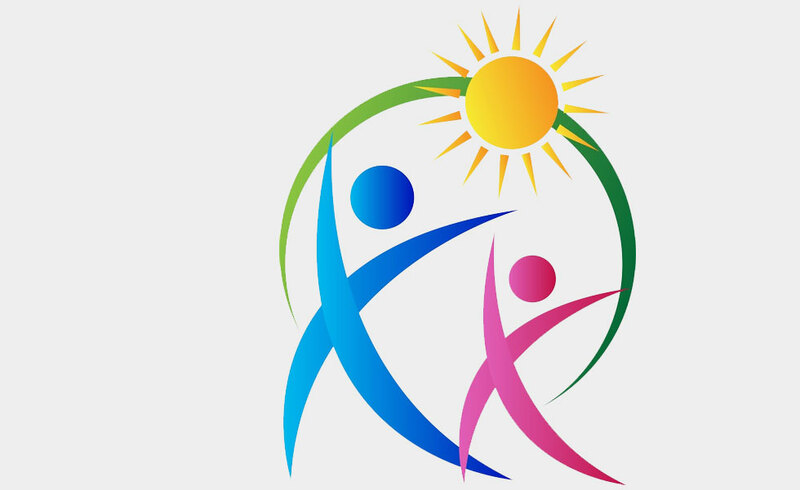 Katie is also an in-home Behavioral Health Intervention Services provider for children and their families. Katie holds a Master’s Degree in Clinical Psychology and a Master’s Degree in Clinical Mental Health Counseling. Additionally, Katie has training in Christian counseling and can offer integrated therapy for interested clients. Katie and her husband enjoy spending time with their dog and two cats, antique shopping, watching movies, and exploring their new community. Katie has rural Iowa roots, but grew up in Omaha, and is now enjoying small town life. Erica Hash is the Program Manager for the Positive Family Program. She has been with Southwest Iowa Families since August 2011. She started her college education at Southeast Community College earning an Associate’s Degree. 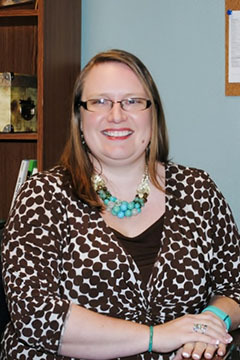 Erica then continued her education at Northwest Missouri State University earning a Bachelor’s Degree in Child and Family Studies with a minor in Criminal Justice. 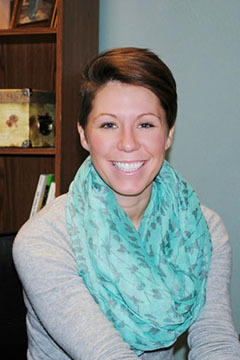 Recently, Erica obtained her Master’s Certification in Infant Mental Health. Erica is also a Self Sufficiency Advocate for the Foster After Care Program, working with young adults aging out of the foster care system and is the Preschool Mental Health Screening Coordinator. 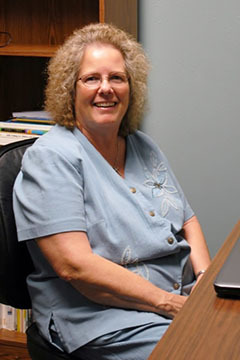 Linda, Family Support Specialist, has worked in the field of Family Support for many years. She is currently working on her B.A. degree from Buena Vista University in Human Services and Psychology. She is active in many community service groups including: Page County Human Service Council, Zero to Five, Fremont/Page Prevent Child Abuse Council. 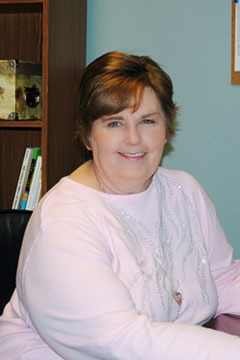 Linda is a mother and a grandmother and loves working with young children and their families. Steve is a part-time BHIS provider. Trisha is a part-time BHIS provider who believes all children can grow to their full potential. She is a mother to three daughters, a teacher during the day and a farmer’s wife. She earned her education degree from Northwest Missouri State University. 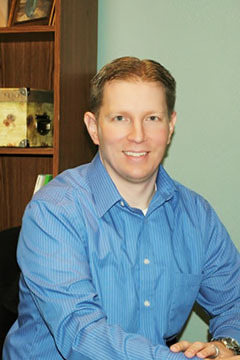 Dr. Keller serves as Medical Director for Southwest Iowa Families, Inc. He consults and reviews complicated cases with staff. He is not seeing clients for medication management; however providers who have referred clients for evaluation or therapy may direct questions or concerns about their referral for Dr. Keller’s review. Rebecca, a therapist, is from south central Missouri, but has called southwest Iowa her home for four years. Rebecca has experience working with a variety of clientele. She joined Southwest Iowa Families in 2017. 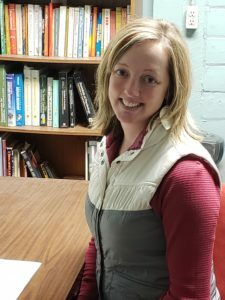 Due to the lack of available services in rural areas, she is a strong advocate for mental health services in rural areas.Rebecca has a significant amount of experience with trauma and attachment. She has training in Trauma Focused Cognitive Behavioral Therapy, Acceptance Commitment Therapy, Dialectical Behavior Therapy, Play Therapy, and Art Therapy. Nicolette is the Bright & Beautiful Beginnings Nest Coordinator for Fremont, Montgomery, and Page counties, Behavioral Health Intervention Services Provider. Lydia Rothfusz is a licensed Master’s level social worker (LMSW) with over 16 years experience in social work. 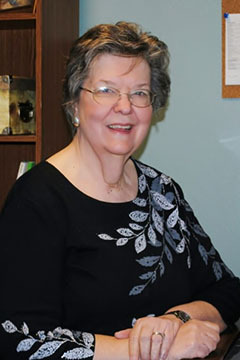 She has worked as a medical social worker in home health care and hospice care, and previously served children and families as a direct-care interventionist and in a supervisory capacity in an early childhood intervention program. Robin, a Therapist, has over 25 years of professional experience. 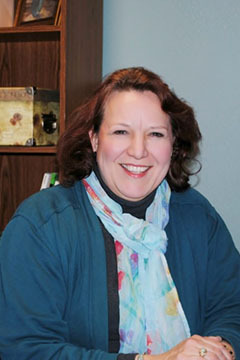 She has experience with individual, marriage, and family counseling in a variety of settings. She also has experience with inpatient and outpatient mental health, domestic violence, and crisis counseling. Robin can also provide Christian counseling. Bernie is the acting clinical director. She also is a Therapist seeing clients in the Clarinda and Lenox locations. She has lived and worked in southwest Iowa over 30 years. She is a clinical social worker with advanced credentials as a diplomat in clinical social work. Her experience includes work in substance abuse, child welfare, mental health services, as well as the schools. “A rural community is a great place to live and work”, Bernie says “I would encourage other professionals to move away from the urban areas to experience the opportunities of rural practice.” Bernie has a particular interest in serving children and families. In 1985, Bernie was recognized by Iowa as “Social Worker of the Year,” being recognized for her work with families impacted by child abuse and domestic violence in rural Southwest Iowa. 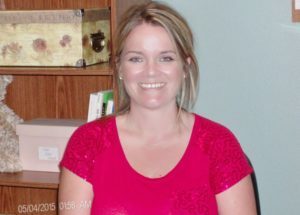 Angela has been with Southwest Iowa Families since December 2009. Angela enjoys working with her own clients as a Therapist in helping them develop and implement realistic, long-lasting solutions. She is currently seeing clients on a part-time basis. Cortney has always lived and worked in Iowa. She currently resides in Shenandoah with her husband, two daughters, and three dogs. She joined Southwest Iowa Families in 2015 and hasn’t looked back. 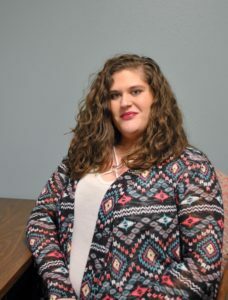 Currently, Cortney is working as a Family Support Specialist for the Positive Family program, and she also provides behavioral health services as a Behavioral Health Intervention Services Provider. Cortney’s Master’s degree is in early childhood education, and she has a strong desire for helping children and families reach their full potential. Cortney loves to read nonfiction and watch documentaries, exercise, and play games with her family. She is an active member in the community, often attending events and promoting the local libraries. Through both Positive Family and BHIS, Cortney is able to pursue a passion of helping young children develop and grow to be socially and emotionally strong, and healthy, caring, young people. Her enthusiasm and optimism help make her position effortless and enjoyable.